What is the Art Library of the State Russian Museum. The Art Library of the State Russian Museum is located in the central part of Mikhailovsky Palace, near the main staircase. 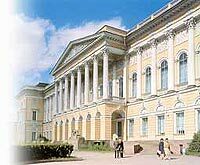 The first record of the Library was found in the Statutes of the Russian Museum of Emperor Alexander III in 1897. The collection of the Library includes literature connected with many of the fields of the humanities. The basis of the fund and its specific character is determined by the Museum's profile - Russian Art. The Library fund has been actively developed since the 1910s. It as collected both books specially bought by the Museum and the whole collections. Nowadays the Library's holdings number 160.000 items in its storage. Being scientific and informational, the Library helps in research activity in the field of study of art, museum instruction, and other humanities. Taking into account the uniqueness of the collection that disposes of the rarest editions, in addition to collecting and keeping in storage literature of art criticism, one catalog of all the rare editions for further systematization and study has been developed. It was decided to form inside the Library the Rare Books Sector. It numbers today about 5.000 items. At present the Library possesses one of the most interesting collections of printed works - Russian items from the beginning of the 18th century and foreign from the 17th century, private book collections that had belonged to cultural and art workers, prominent collectors, artists, and to art historians. 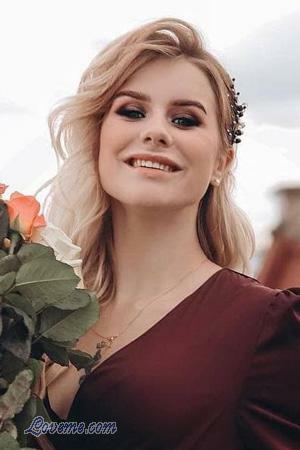 The fund includes libraries that had been collected by princes Gagarin, princes of Oldenburg, Grand Duke Georgy Mikhailovitch, V.Argutinsky-Dolgoruky, A.S.Suvorin, S.Makovsky, E.Reytern, A.N.Benois, V.V.Lebedev, V.N.Petrov, B.N. Okunev, K.A.Korbadovsky, A.M.Shadrin, and also parts of the libraries of the Committee of Guardianship of Russian Icon-painting, the Popularization of Art Editions committee, Schtiglitz School, Izmailovsky and Finlandsky Regiments, and the Library of the St.-Petersburg Handicraft Wares Museum. The Library annually subscribes to Russian and foreign periodicals (magazines and newspapers). Since 1997 all readers of the Library have an opportunity to look for the information via Internet. This activities is within the "Internet Access and Training Program". The non-profit American organization IREX - International Research Exchange conducted this program (1996 - 1999). The non-profit American organization "Project Harmony" conduct this program since 1999 till the present time. Financial support - Bureau of Educational and Cultural Affairs of US Department of State. Our readers can search bibliographical information in the Library in different ways. These are traditional and not-traditional search means: a general alphabetical catalogue, subject catalogue, card index of persons (artists, sculptors and architects), card index of works of research workers of the State Russian Museum, editions of the State Russian Museum, exhibitions, alphabet card index of articles, and other means. Professional bibliographers and art historians can also carry out bibliographical inquiries by phone or in written form. Besides traditional forms of the storage and dissemination of information, there has been a computer informational-searching system in the Library since 1993, there are about 28.000 descriptions in our electronic catalogue (about 28% of the fund - all new acquisitions since 1993 + retrospective). You can search bibliographical information according to the name of author, title, the year of edition, or key word. 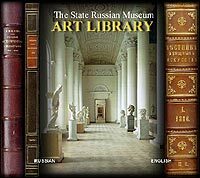 Since 1997 all the readers of the Art Library of the Russian Museum have had possibility to search the information in the catalogue of libraries all over the world through the Internet. Specialist librarians can acquaint you in case of need with our card catalogue and will help you to work with our electronic catalogue and by Internet. Inquiry-bibliographical service is possible in the library, by phone, or e-mail. Offerings concerning the purchase of rare books and magazines can be examined. The Art Library takes part in exhibitions that are organized by the Russian Museum. These are editions mainly from the rare books holdings that are of great interest as museum exhibits.